Preheat the oven to 450°. In a small bowl, whisk the yogurt with the water. On a large rimmed baking sheet, stretch and press 1 ball of the dough to a 14-by-5-inch rectangle. Using your fingers, press 5 to 6 deep lengthwise channels into the dough (slight tearing is okay). Brush the surface with some of the yogurt mixture and sprinkle with nigella and sesame seeds; season with salt, if using. Repeat on another baking sheet with the other ball of dough. Bake the flatbreads for 20 to 25 minutes, until browned; rotate halfway through. Serve. 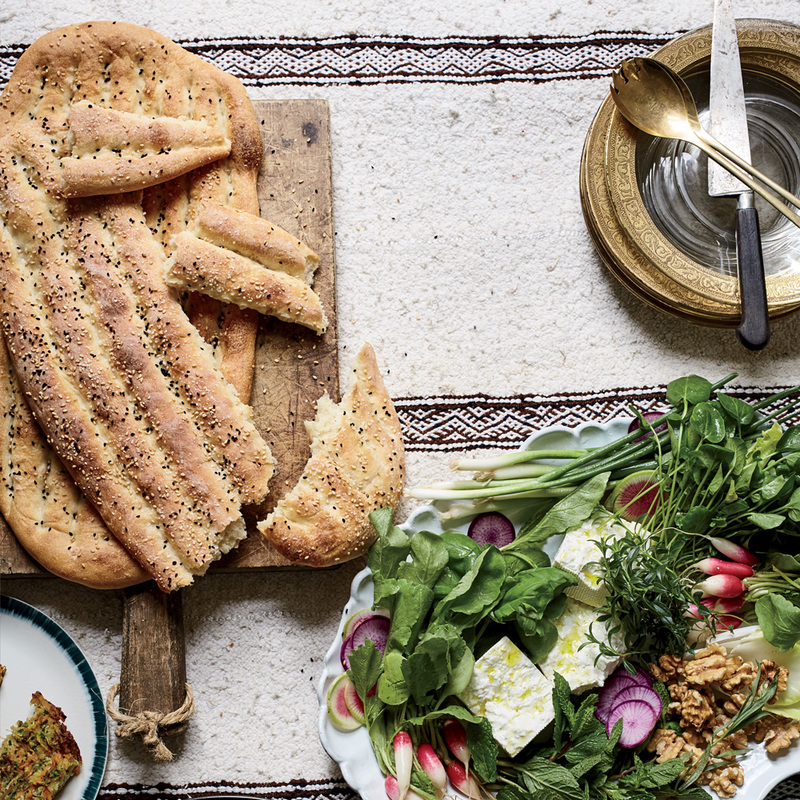 Sabzi khordan, an appetizer platter of fresh herbs, vegetables, nuts and feta cheese that’s served at most Persian meals. Review Body: Easy and tasty! Great to share with friends or family! Review Body: Super easy and a great snack for watching sporting events!